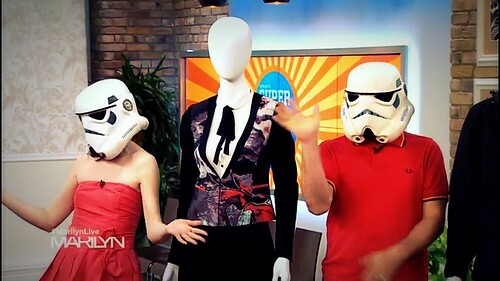 redandjonny: Marilyn Denis show makeover, originally uploaded by RedandJonny. Watch us on the Marilyn Denis show! When she asked you to take your helmets off I had a flashback of being in school and the teacher asking me to take my hat off. Sooo busted!